The year in California music was marked by artists rising to challenges, and often above them, whether in the way Palm Desert band Eagles of Death Metal responded to the horror that occurred while they were onstage at La Bataclan in Paris in November or in how others took on the more mundane challenges presented by the dramatic changes in the music business. While there is no comparison between those things, the top artists this year didn’t see challenges as much as opportunities for supreme creativity, and went after them with gusto. That came from across a wide musical and cultural landscape, a real reflection of the wealth of the Golden State, as represented in this roundup of the year’s best. Arguably, the most inspiring words not just from a California artist but in all of rock this year stemmed from an unspeakable tragedy, and not here in the state but in Paris. It’s unclear, and perhaps unlikely, that the terrorists who stormed La Bataclan theater on Nov. 13, killing 84 and wounding scores more as part of a citywide series of attacks, knew anything about the band playing that night. 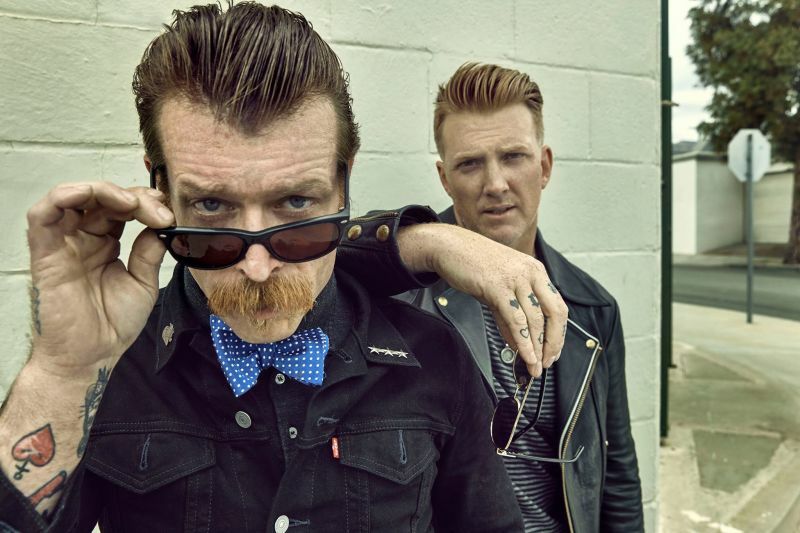 Eagles of Death Metal, while having a strong following, was hardly a mainstream presence. But the unthinkable events thrust the Palm Desert group into global consciousness, associating them with the horror and tragedy that occurred. It was a seeming ill fit for a good-time band with an ironic name. Hughes’ words above came in a video conversation with Vice, the only interview he’s done since the massacre. He shakily recounted the events of that night, the harrowing escape and the realization of what had happened. Watching the video or reading the words, it’s hard not to be shaken, too. But hearing or reading his resolute determination to keep the music going, to be back on that stage, to be the first band to play at La Bataclan when it reopens, it’s hard not to be moved to tears, as many were. Meanwhile, as the Inland Empire became a target in the San Bernardino attack, the song itself became a celebration and remembrance. Artists around the world took up a challenge to do their own versions, all proceeds going to the Sweet Stuff Foundation, to help the family of EODM crew member Nick Alexander, who was killed at La Bataclan. One lovely version of the song is an all-vocal rendition by Petra Haden. And now Eagles of Death Metal has just announced the rescheduled European dates, with a Feb. 16 return to Paris — the Olympia Theatre, not La Bataclan at this point. Wherever it is, there will be tears. And dancing. If you title an album “The Epic,” you’d better deliver. Kamasi Washington did, in size and in scope: Three full CDs spanned by an ambitious jazz suite with layers of strings and vocal choruses ornamenting the complex but compelling celestial excursions. 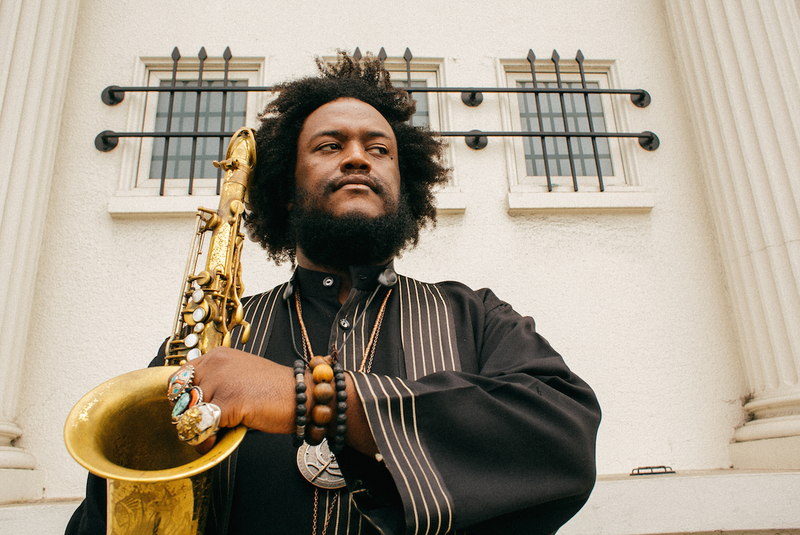 But the very fact that it and its creator, saxophonist and composer Kamasi Washington, are being celebrated in relatively mainstream circles is itself epic. Heroic even. This is not pop jazz by any stretch. It’s not even an easy fit in the world of today’s jazz jazz, but rather a project that draws on the pioneering progressions of Pharaoh Sanders, Oliver Nelson, Archie Shepp and, inevitably, John Coltrane among other key figures of ‘60s and ‘70s jazz, inspired by social and cultural consciousness and struggles to reach for new forms of expression. And Washington, a youngish man from Inglewood, is still reaching. It doesn’t hurt that he’s gained a foothold in the public consciousness via work with such local luminaries as Kendrick Lamar, appearing on Lamar’s “To Pimp a Butterfly,” which looks likely to be at or near the top of the aggregated national critics' polls for 2015. Washington’s success is not a matter of opportunism, but of talent and hard work. While still at UCLA he toured with Snoop Dogg and was enlisted by veteran pioneer Gerald Wilson for his jazz orchestra — a range of styles that he continues to explore and expand tirelessly, whether in sessions with his own group the Next Step or with its alter-ego, the West Coast Get Down, a more avant-funk ensemble in which he serves not as leader but as a featured horn player. And even within months of the spring release of “The Epic” he was reaching further, his “65-92: The Rhythm Changes But the Struggle Remains” concert at Grand Performances in Downtown L.A. — portraying two turbulent years in the city’s life in a vast sonic landscape — standing as one of the top concert events of the year here. How does an artist top all that? Whatever Washington does next, it’s a good bet it will be, well, you know. Coincidentally, two always-creative acts in the California Persian community made collaborations with Balkan artists, both with bracing but very different approaches and results. Several highlights of “The Road” saw singer-composer Khadem in Macedonia working with a local brass ensemble with boisterous results, the cultural mix seemingly seamless and natural. 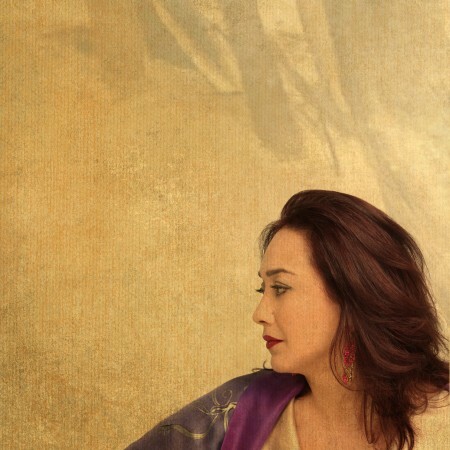 Ditto for other songs in which she mixed her considerable Iranian classical and folk artistry and Rumi poetry with a Bulgarian women’s chorus, as well as musicians in Morocco and Indonesia, all recorded on location. L.A.’s Lian Ensemble’s work with Croatian accordion virtuoso Ključo yielded more ethereal sounds -- dreamscapes of Iranian classical styles taken into new, vivid worlds by the reedy colorations of the guest. The album also features several appearances by Israeli singer-actor Theodore Bikel for some affecting performances that are among his final work before his death earlier this year. With all the attention going to Kendrick Lamar in the (for lack of a better term) new L.A. urban scene, don’t overlook the latest from San Pedro’s Miguel Jontel Pimentel, known simply as Miguel. Not only does it cover a wider musical span than Lamar’s album — from rock to smooth R&B to jazz to hip-hop — it covers a wider cultural landscape, arguably as full a portrait of L.A. as you’ll find in a single album (literally in such songs as “the valley” and “Hollywood Dreams”), but with a very personal perspective. Miguel has two previous albums that established him as a creative force, not to mention his status as an in-demand producer-writer with Usher and Asher Roth, among artists with whom he’s collaborated. But “Wildheart” sounds like a breakthrough of deep imagination and resonance, somehow balancing a sense of hope with barbed cynicism. The track “NWA” (with guest rapper Kurupt) pays tribute to an inspiration from the past, without sounding like the Compton crew. Every note, every syllable is true to Miguel. Brazilian-born Angeleno Souza has sung many words in many languages in many styles — Portuguese samba and bossa nova, jazz standards (in English), the poems of Pablo Neruda (also in English), biblical liturgy (in Spanish as a favorite voice of groundbreaking Argentine modern-classical composer Osvaldo Golijov). For most of “Speaking in Tongues,” though, she sings in no language, or at least no recognizable one, but rather wordless vocalese in a series of thrilling, daring pieces calling to mind the classic ‘70s Brazilian fusion of Hermeto Pascoal (her godfather, as it happens) and Airto Moriera, among others. Teaming with her are some of the most distinctive, challenging musicians working today, an international all-star band of Benin-born guitarist Lionel Loueke, Swiss harmonica wizard Gregoire Maret and the nimble and powerful rhythm tandem of bassist Massimo Biolcati and drummer Kendrick Scott, all guided by her producer (and husband) Larry Klein, who just earned a Grammy producer-of-the-year nomination. Throughout, the voice, guitar and harmonica soar and dart like swallows in playful flight. And punctuating/contrasting it all are two “lyrics” songs with Souza writing new music to two rather somber Leonard Cohen poems. The musical wing of the East Bay Mexican arts and culture education and activism organization has explored styles from regional traditions to rock, funk and soul variations over the course of 25 years. For this album, it’s back to basics, a stripped-down quartet of voice and plucked strings on songs largely originated in Mexican village life. Los Cenzontles founder Eugene Rodriguez is joined by three former students, with the lovely, strong voice of Fabiola Trujillo at the front, bringing freshness to the traditions. “You mistook me for smoke,” sings Lizzie Clapper, leading this slightly off-kilter San Francisco rock band in its debut. It’s as good a description as you’ll get for both her voice and the band’s music. There’s an intriguing elusiveness to all this, the way the vocals don’t quite follow Ciara MacAllister’s keyboards, which don’t quite mesh with Sean Alexander’s guitar, all of which glide along the flowing rhythms of Jason Vivrette’s bass and Scott Rouse’s drums as songs serpentine through five, six, seven minutes. And yet somehow it all works together -- captivatingly at best -- in its mistook-as-smoky way. That's fitting for something recorded in a cabin deep in the Mendocino redwoods.